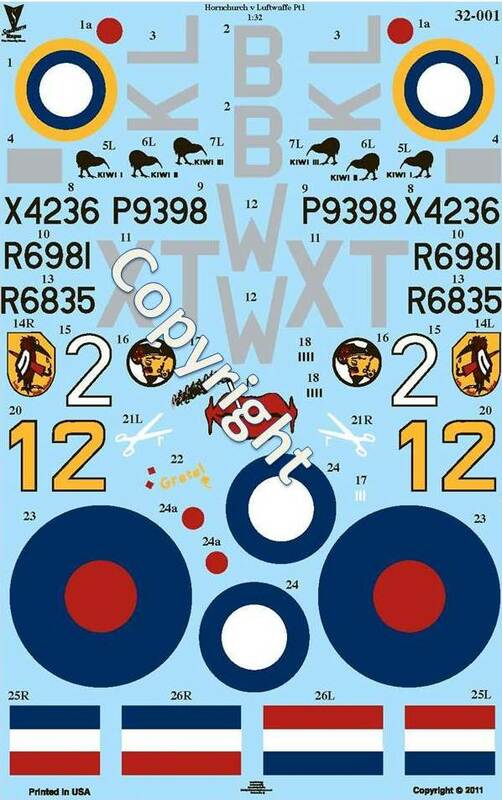 This year we reintroduced the production of a modelling related product in the form of some specially commissioned decals in 1/32nd scale. 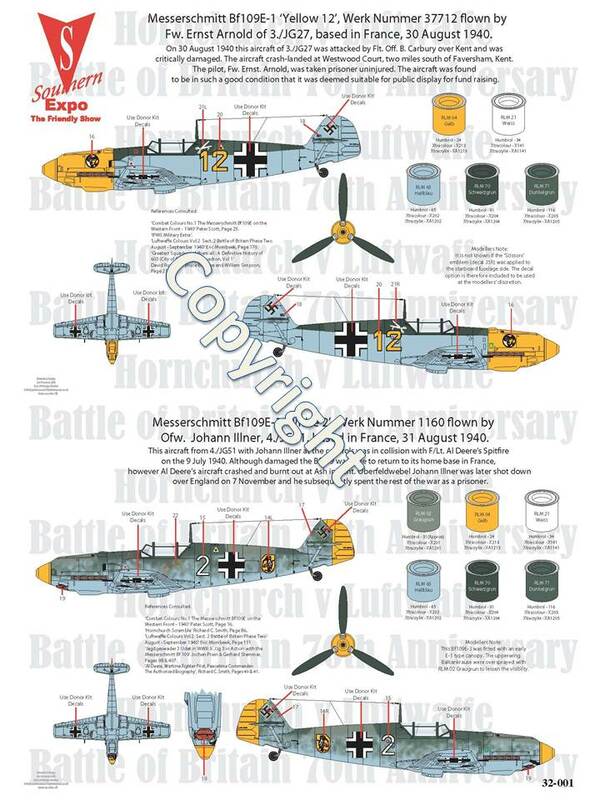 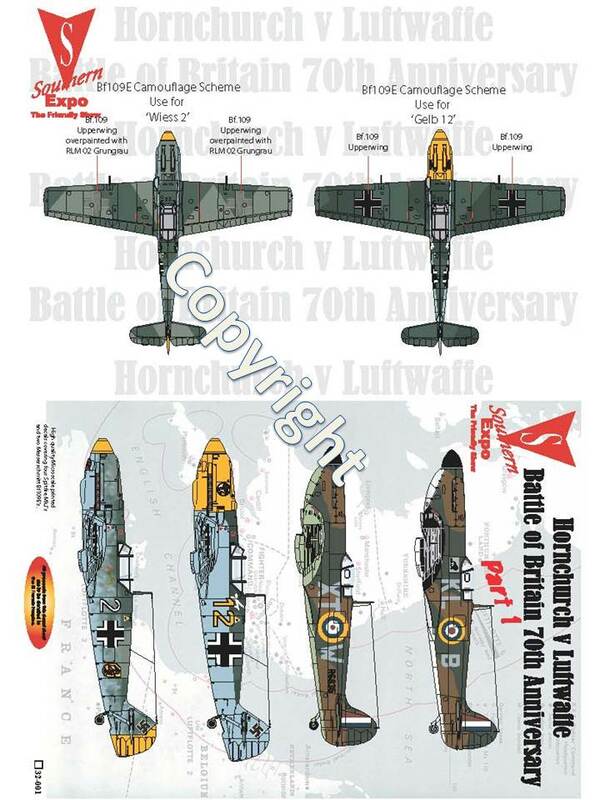 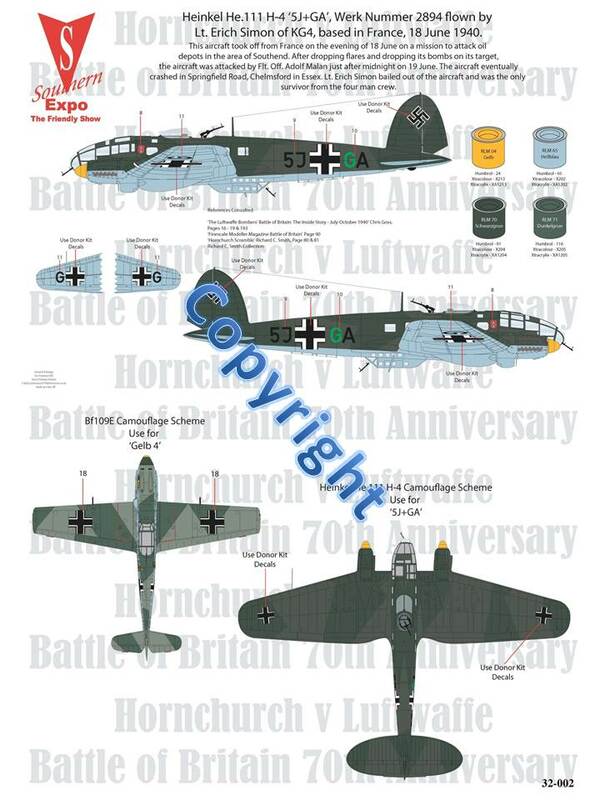 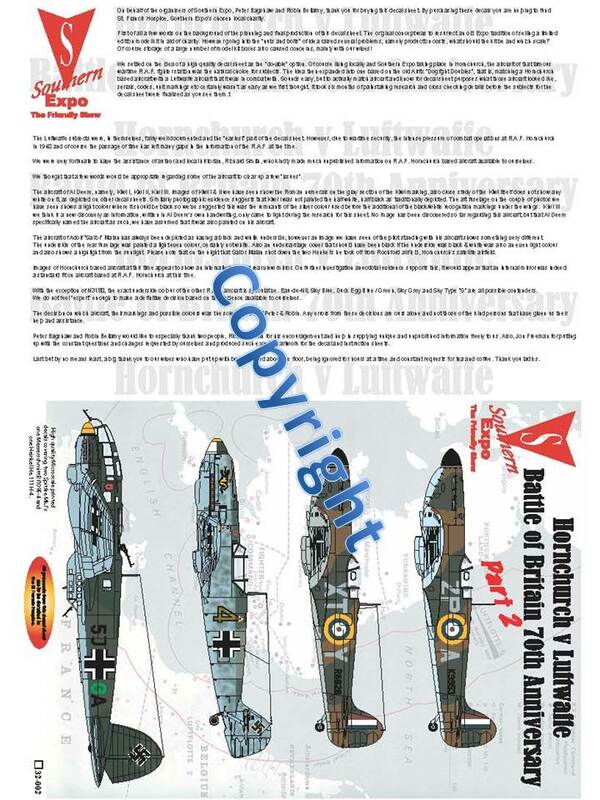 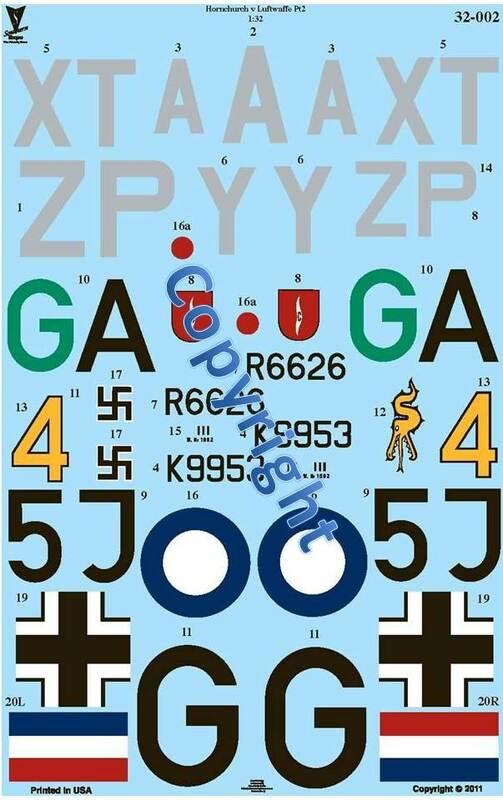 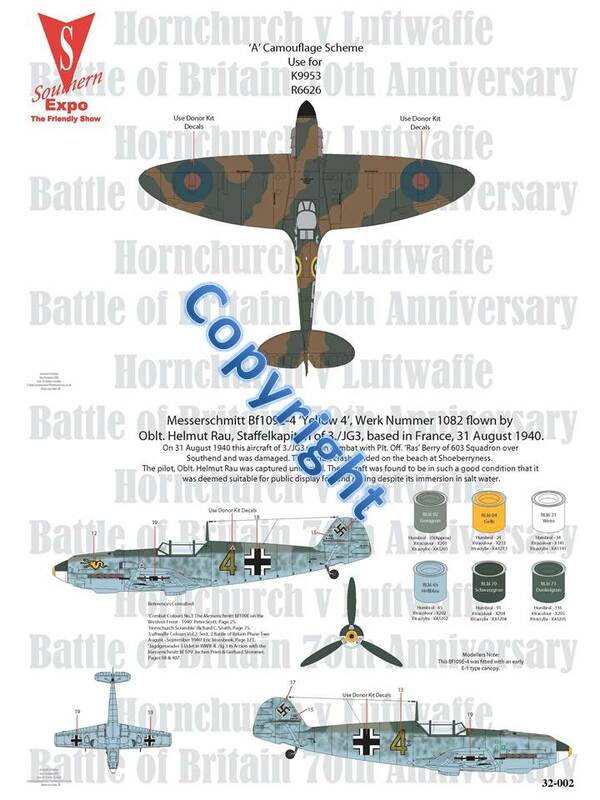 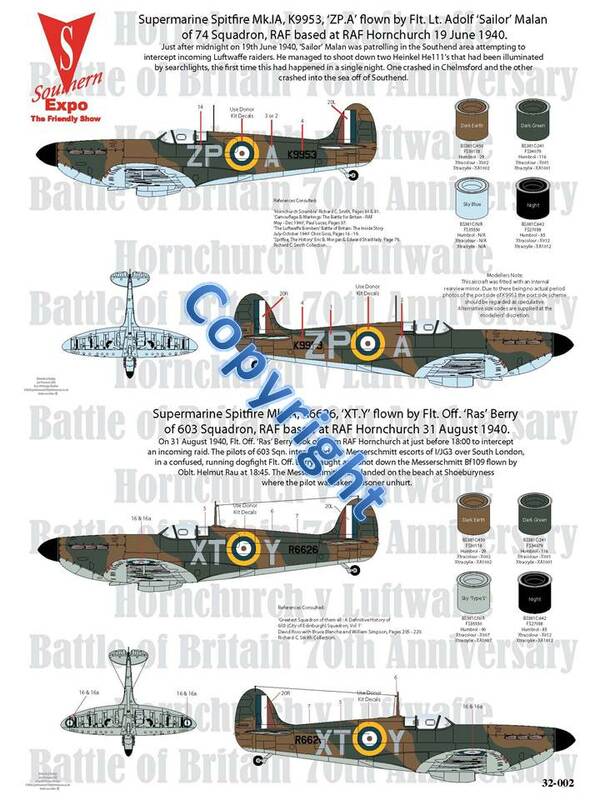 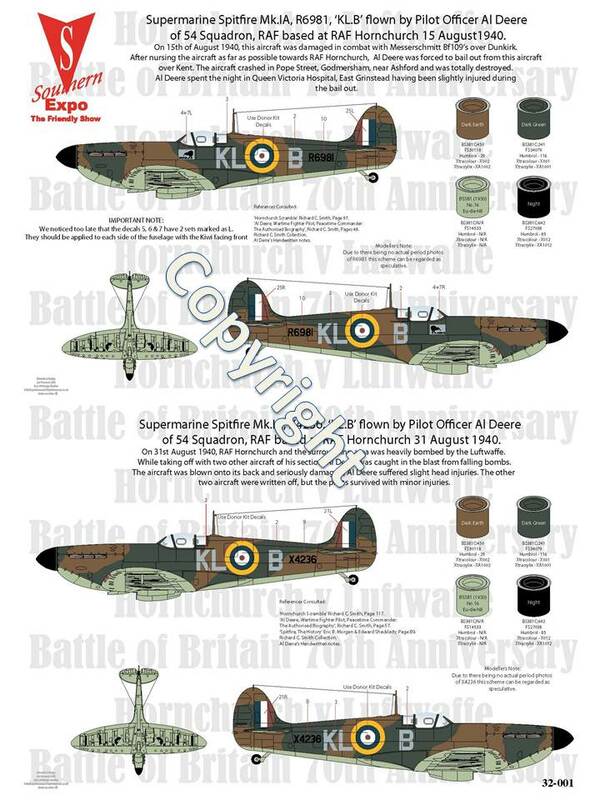 These decals have been researched over a 6 month period by the organisers and covers 7 Battle of Britain period Spitfires which flew from RAF Hornchurch and also features 3 Bf-109E and a Heinkel He-111 against which some of them fought. 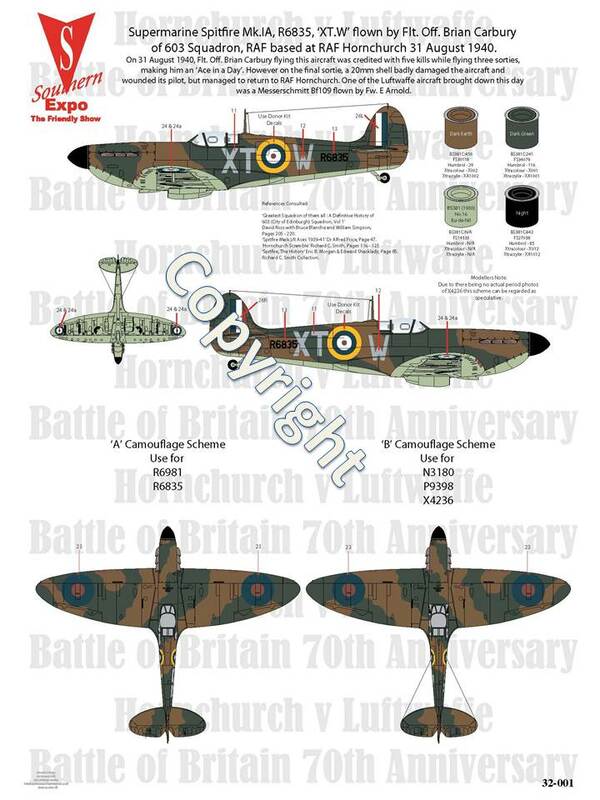 They will be on sale at £7.50 per sheet. 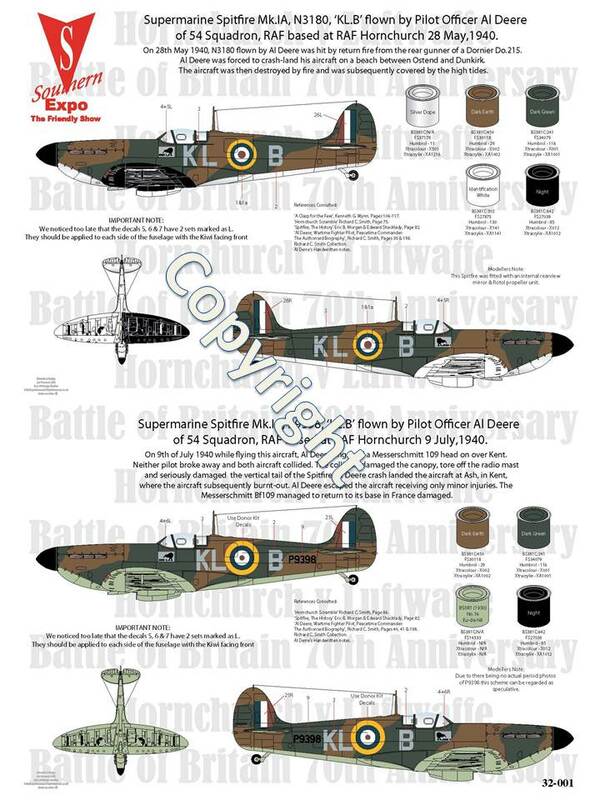 As ever all the profits from their sale will be donated to the St Francis Hospice.